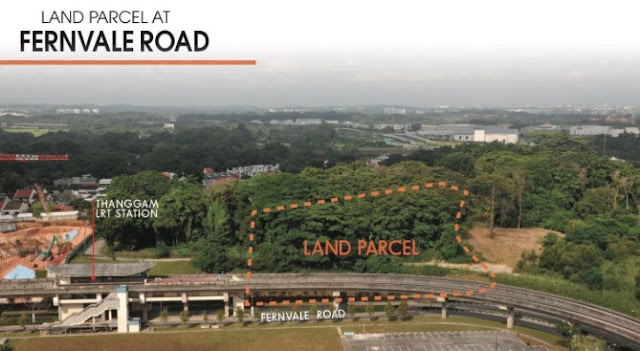 Parc Botania sits well along Sengkang West Way/Fernvale Road in District 28, Singapore. This 99-year leasehold development is only a few steps alongside the Thanggam LRT station. Shopping malls and recreation places like Sengkang Sports & Recreation Centre, Rivervale Mall, Seletar Mall, Kopitiam Square and Compass One Shopping Mall. Other amenities like the Sengkang General & Community Hospital, NTUC Fairprice, Giant Express, Punggol Park, Hougang Sports Complex and Buangkok Sports Park are a mere few minutes drive away from the property. Prestigious schools such as Pei Hwa Secondary School, Fernvale Primary School, , Nan Chiau Primary School and Sengkang Green Primary School allow future residents to have an option to have excellent education service. All of these amenities are conveniently accessible via expressways and MRT as well as LRT stations which include Tampines Expressway (TPE), Sengkang MRT, Thanggam LRT, Seletar Expressway (SLE) and Central Expressway.